X-ray Facility website migrated to https on A&S server. Thanks Brian and the UKy IT team! Photophysical characterization and time-resolved spectroscopy of a anthradithiophene dimer: exploring the role of conformation in singlet fission. PhysChemPhysChem doi: 10.1039/C7CP03774K. Beyond the Hammett Effect: Using Strain to Alter the Landscape of Electrochemical Potentials. ChemPhysChem doi: 10.1002/cphc.201700607. sp2CH⋯Cl hydrogen bond in the conformational polymorphism of 4-chloro-phenylanthranilic acid. CrystEngComm doi: 10.1039/C7CE00772H. Orthogonal 4,10 and 6,12 substitution of dibenzo[def,mno]chrysene polycyclic aromatic small molecules. J. Mat. Chem. C doi: 10.1039/c7tc02528a. X8 Proteum rotating anode diffractometer refurbishment completed with 'K3' goniometer, and newer optics. Thanks again Sean Malle! Strong Hydrogen Bond Leads to a Fifth Crystalline Form and Polymorphism of Clonixin. Chem. Select doi: 10.1002/slct.201700947. Absolute configuration of 2,2′,3,3′,6- pentachlorinatedbiphenyl (PCB 84) atropisomers. Env. Sci. Poll. Res. doi: 10.1007/s11356-017-9259-z. Regioselective Baeyer–Villiger oxidation of lignin model compounds with tin beta zeolite catalyst and hydrogen peroxide. RSC Advances doi: 10.1039/c7ra03830e. Understanding the Crystal Packing and Organic Thin-Film Transistor Performance in Isomeric Guest–Host Systems. Adv. Mater. doi: 10.1002/adma.201700048. Bruker-AXS D8 Venture dual-microsource diffractometer installed and running (NSF MRI grant CHE-1625732). Thanks Sean Malle! Bi- and Tetracyclic Spirotetronates from the Coal Mine Fire Isolate Streptomyces sp. LC-6-2. J. Nat. Prod. doi: 10.1021/acs.jnatprod. 7b00108. Solid-State Characterization of 2-[(2,6-Dichlorophenyl)amino]-Benzaldehyde: An Experimental and Theoretical Investigation. J. Chin. Chem. Soc. doi: 10.1002/jccs.201600848. UK X-Ray Facility takes delivery of a new dual-microsource diffractometer, obtained on NSF MRI grant CHE-1625732. Photochemical Properties and Structure-Activity Relationships of Ru(II) Complexes with Pyridyl-benzazole Ligands as Promising Anticancer Agents. Eur. J. Inorg. Chem. doi: 10.1002/ejic.201601450. X8 Proteum rotating anode diffractometer detector replaced with Pt-135 CCD. Thanks Marek Przetakiewicz! Mccrearamycins A–D, Geldanamycin-Derived Cyclopentenone Macrolactams from an Eastern Kentucky Abandoned Coal Mine Microbe. Angew. Chem. Int Ed. doi: 10.1002/anie.201612447. The effect of hexyl side chains on molecular conformations, crystal packing, and charge transport of oligothiophenes. J. Mat. Chem. C doi: 10.1039/C6TC04612F. Synthesis and Electrical Properties of Derivatives of 1, 4-bis (trialkylsilylethynyl) benzo [2, 3-b: 5, 6-b′] diindolizines. Organic Letters doi: 10.1021/acs.orglett.6b02991. Epitaxially intergrown conformational polymorphs, and a mixed water/methanol solvate of 5’-deoxy-5’-iodoguanosine. Cryst. Growth Des. doi: 10.1021/acs.cgd.6b00981. 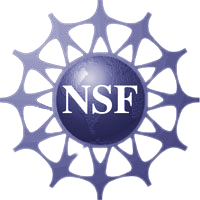 UK X-Ray Facility awarded NSF-MRI grant CHE-1625732 to replace the old Nonius kappaCCD diffractometer.